Formula 3 driver Sophia Floersch is returning home to Germany after undergoing surgery for a spinal fracture following a horror crash at the Macau Grand Prix on November 18. 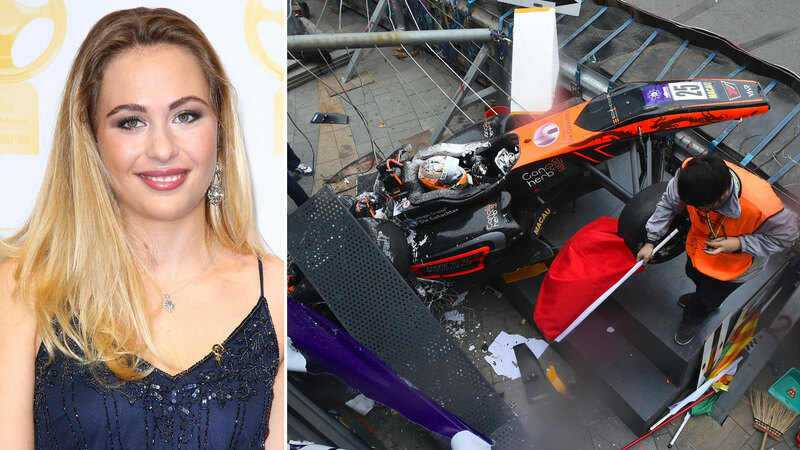 Floersch's car flew off the track at nearly 280km/h earlier this month, catapulting spectacularly over safety barriers where marshals and photographers were gathered. She spent more than a week in a hospital in Macau, undergoing a nine-hour operation to repair the fracture and remove a bone splinter that was dangerously close to her spinal cord. "Today I am flying back home," 17-year-old Floersch wrote on Facebook. "Really happy to see all my family and friends in the next days again. I am still overwhelmed by all the support I got from you fans all around the world." Japanese driver Sho Tsuboi, whose car Floersch collided with, was also taken to hospital after the crash, along with two members of the media and one marshal. Floersch went on to thank the doctors and medical staff who operated on her, before looking ahead to her return to the sport next year. "Now a new chapter starts and I can't wait for it to begin," she said. "Let's focus on 2019."